Our client Fernando Sanchez worked as a plumber at Grimmway Farms near Bakersfield, one of the largest carrot processing operations in the United States and Kern County’s largest employer. December 8, 2010 started out as just a normal work day for him on the job site. In the mid-morning, he was performing a routine task, driving a forklift to transport a large chlorine cylinder from one area of the plant to another. Suddenly Mr. Sanchez encountered the end of a 20-foot-long metal “pole” gate that had been left open, facing in the wrong direction, directly in his path. He had never before seen the gate in that position. Before he could react, the end of the gate penetrated the front of his forklift and impaled Mr. Sanchez. Incredibly, Mr. Sanchez survived despite being seriously injured, but the accident destroyed one kidney, badly damaged the other and caused substantial damage to his legs. He spent a full year in the hospital and now must attend dialysis three times per week while he awaits a kidney transplant. The catastrophic injuries he experienced have drastically changed his life. After the injury, Mr. Sanchez hired our lawyers to handle his case. 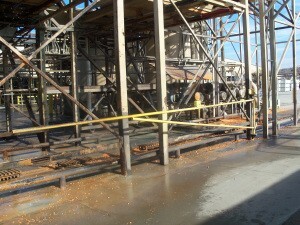 The gate that impaled Mr. Sanchez [see photo] was intended to restrict access to a particular part of the plant. The gate was to remain closed unless authorized personnel needed to open it, and then it was to be opened in a particular manner (facing east) and secured with a pin. At the time of the accident, the gate was opened towards the southwest and unsecured. There was little dispute that whoever had opened the gate in that manner had been negligent. 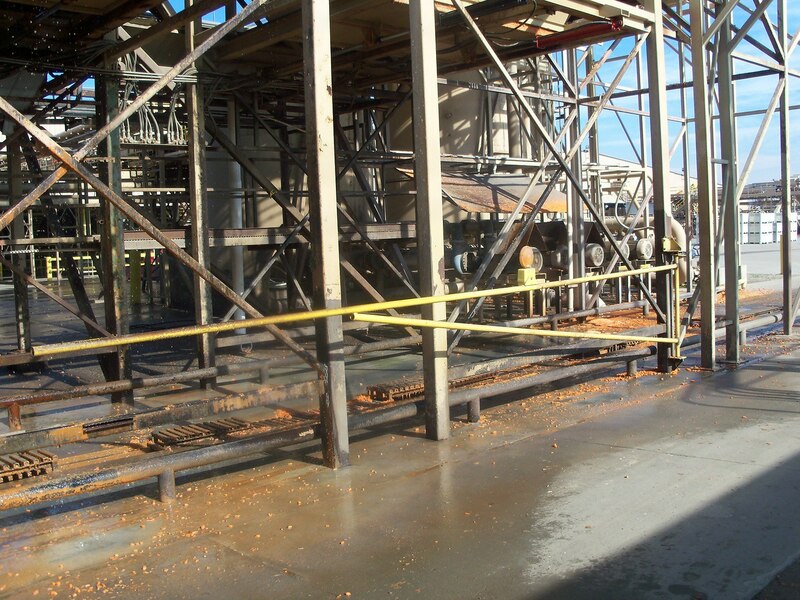 The issue became identifying who had committed the negligent act and, in particular, whether it was a Grimmway employee or one of the outside contractors who come to the plant to perform various tasks. If the negligent person worked for Grimmway, then Mr. Sanchez would be limited to workers’ compensation benefits. This became more like a criminal case than a typical civil case. Proving “whodunnit” was the main issue. A lengthy and painstaking investigation revealed that an outside truck driver had driven through the area closed off by the gate just 10 minutes prior to the accident. A trail of water (captured in photos) traced his path. He took this route because his normal route in and out of the area was temporarily blocked. The truck driver claimed that the gate was already open when he encountered it, but other witness testimony established that the gate had been closed just 30 minutes earlier, and there was no evidence that anyone besides the truck driver would have had any reason to open the gate in the meantime. In discovery, we learned that the truck driver had been working unbelievably excessive hours, almost two days without a real break, suggesting fatigue. This provided an explanation for the lapse in judgment that caused him to drive his truck through a restricted area and leave the gate in a dangerous position. 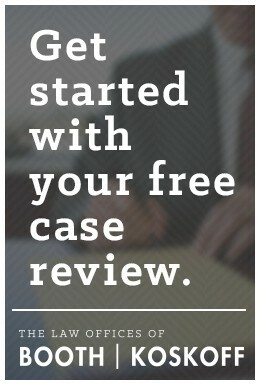 Having put together a strong third party liability case, the issue then became how to secure a settlement, or verdict at trial, that would protect Mr. Sanchez’ very substantial workers’ compensation benefits while also providing him with a reasonable third party recovery. The defendant (the truck driver’s employer) had $3 million in coverage, but the workers’ compensation lien was over $2 million. Moreover, Mr. Sanchez will need lifetime medical care, which our life care planner estimated would cost $6.7 million. Mr. Sanchez’ employer (which is paying his workers’ compensation benefits under a self-insured plan) could have asserted a “credit” for any amounts that Mr. Sanchez obtained from the third party case. This could have resulted in Mr. Sanchez in losing his medical benefits for an extended period of time, which was unacceptable. After lengthy negotiations, we were able to convince Mr. Sanchez’ employer to accept less than 20 cents on the dollar to resolve its lien, and we were able to preserve Mr. Sanchez’ future workers’ compensation benefits. This paved the way for a $3 million policy limits settlement in the third party lawsuit. Mr. Sanchez will thus walk away with a substantial third party recovery, which will allow him to purchase a house for his family, among other things. He will also get to keep all of the workers’ comp medical benefits that he so desperately needs. We were happy to serve as his lawyers during this serious injury case.